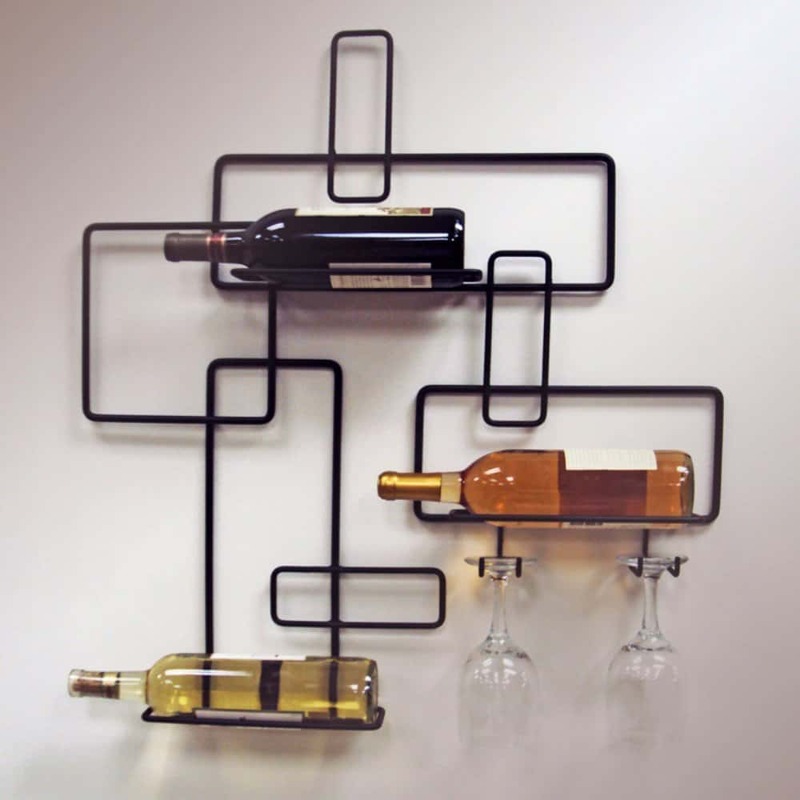 This Contemporary Wine Rack is perfect for anyone who enjoys the occasional glass of wine. It looks really interesting and adds a nice touch to your decor. You can store a few of your favorite bottles of wine and glasses. An easy way to keep some wine handy at all times! Great or the dining room, kitchen, den or any area where you like to relax. The perfect way to display your favorite bottles as well. The durable wrought iron construction means that it is built to last. It holds three bottles and two glasses. Features a powder coated finish and is very easy to install.